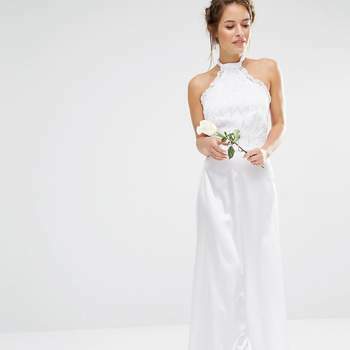 It is often thought that there’s no way too avoid organising and planning a wedding without spending a fortune, but as wedding dresses are now being stocked online more and more, and with more styles and colours becoming ‘accepted’, hosting a wedding has never been more accessible! In 2018 there are almost too many options to choose from! 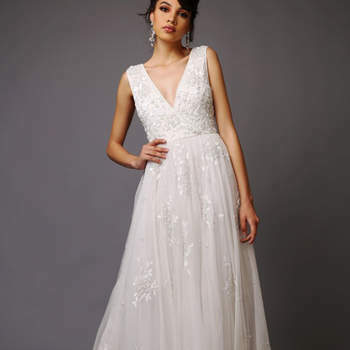 So, in this gallery we show you a few trends and styles so that you can get started planning the main part of your bridal look. For those who want to show off their shoes, we have short dresses, and for those who want to buck the trend and wear a non-white dress, look no further, we have some beautiful coloured dresses that’ll make you feel more comfortable than white but without losing any of the elegance! 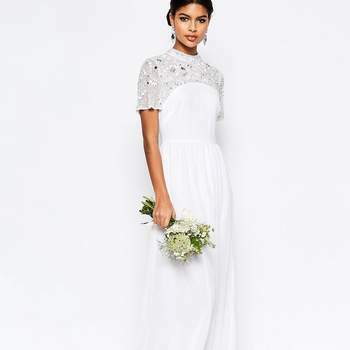 As for necklines, we have all those that are popular in the bridal sector at the moment: the famous bardot neckline, V necklines, as well as backless dresses. 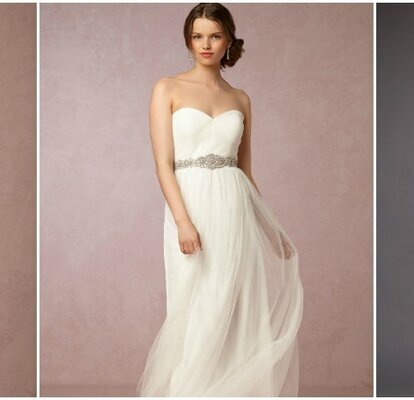 Don’t miss out on these cheap wedding dresses for 2018 brides, we’re sure you’ll find one that you’ll fall in love with! Beatrice Wedding Dress, Virgos Lounge. 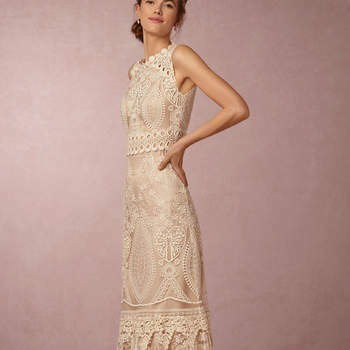 Dominique Wedding Dress, Virgos Lounge. 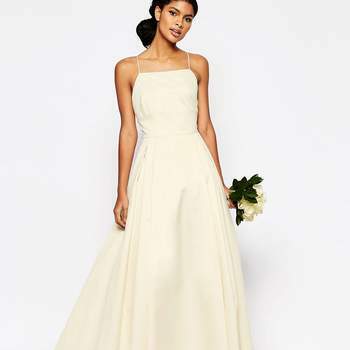 Patti Wedding Jumpsuit, Virgos Lounge. 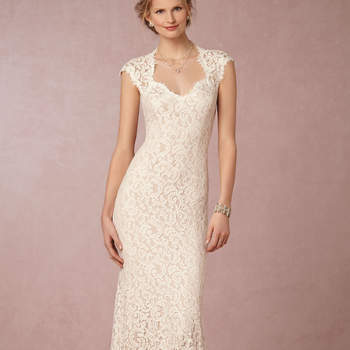 Charlize Wedding Dress, Virgos Lounge. A Star Is Born, Asos. 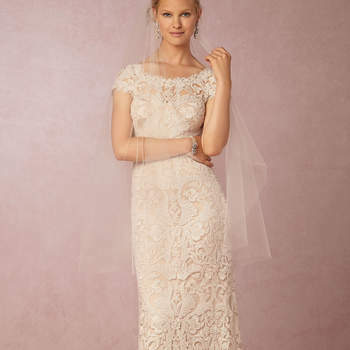 Elizabeth Wedding Dress, Virgos Lounge. 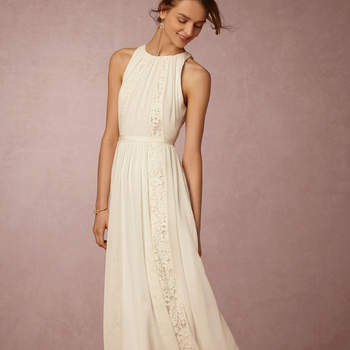 Ginger Convertible Maxi Dress, Bhldn. 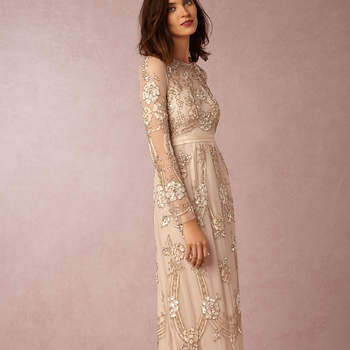 Charlotte Wedding Dress, Virgos Lounge. 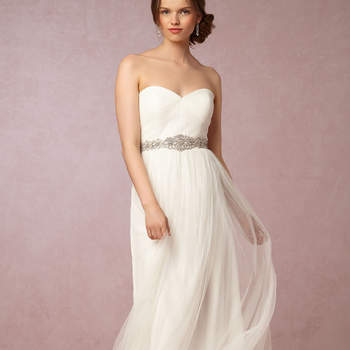 Priscilla Wedding Dress, Virgos Lounge.